At MPD, we understand the current problems that the electronics industry is causing the environment. Battery-powered devices are often not designed with the future in mind, and many corporations use planned obsolescence to ensure that consumers must throw away devices before they have actually become out-of-date. One of the ways in which products can be made useless prematurely is through soldered-in, and thus unreplaceable, rechargeable batteries. When such a battery has had too many recharges, it loses the ability to retain a charge sufficient for most users' purposes, who will usually discard the device thinking of it as useless. If such devices used replaceable battery solutions, the lifetimes of these devices would be greatly extended. This could also increase the size of second-hand markets, which would further reduce electronic waste. The BK-18650-PC6 is a 3 cell Li-ion 18650 holder. MPD was the first battery holder manufacturer in the world to come out with Li-ion 18650 battery holders. 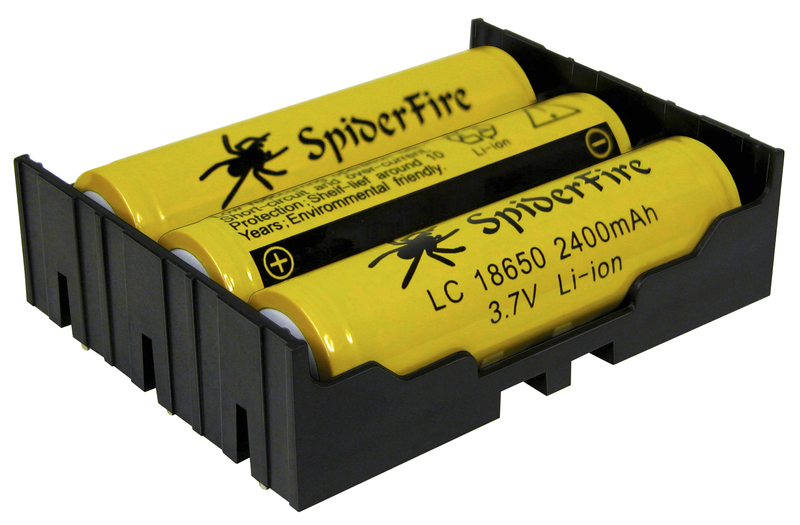 18650s are quickly becoming one of the most important rechargeable batteries on the market, due to their extreme power. They are used in some electric cars, laptop battery packs, and a growing number of consumer electronic devices. Due to how important we felt this battery was, we decided to invest in holder technologies for it well before anyone else. There are many other ways in which we can improve our battery holders to be more environmentally friendly though, and we are always looking for ways to use less plastics and metals in our parts. We are also fully compliant with major international environmental laws, such as RoHS. For a full statement of our compliance to regulations, please check here. MPD has recently published an article about how to make battery powered devices greener. In it, we address common issues such as ensuring battery replaceability, rechargeable battery chemistries, and how to reduce the e-waste stream. The full article is available here.